In a feudal land, a Kingdom is at risk. 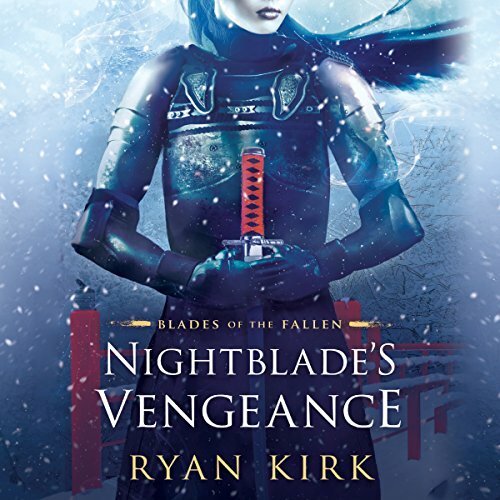 With no heir to the fragile throne, its future rests with the powerful members of the dying king's Council, including Minori, a nightblade warrior, and Kiyoshi, a dayblade healer. The two men are bound by the sword but divided by two opposing principles: rule the land, or serve it. In their challenge for supremacy, a spark has been lit. 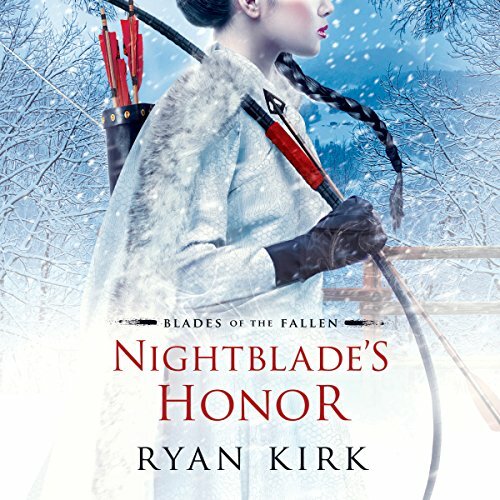 A fierce nightblade warrior, she's spent a decade in pursuit of the enigmatic general who killed her father in a violent revolt - then mysteriously vanished from all records. Now, her desire for reckoning has led her to the village of Two Falls - and straight into the heart of an impending civil war. Minori and Kiyoshi are vying for her loyalty. And Asa must choose sides. As fresh betrayals unfold and a new uprising looms, Asa knows that chasing a ghost is no longer just a personal quest for retribution. It's going to alter the fate of the entire Kingdom. ©2017 Waterstone Media (P)2017 Brilliance Publishing, Inc., all rights reserved. In a feudal land, a Kingdom is at risk. With no heir to the fragile throne, its future rests with the powerful members of the dying king's Council, including Minori, a nightblade warrior, and Kiyoshi, a dayblade healer. The two men are bound by the sword but divided by two opposing principles: rule the land, or serve it. In their challenge for supremacy, a spark has been lit. Her name is Asa. Her creed is revenge. almost a flawless performance. almost. With the realm on the brink of war, the once-celebrated blades have become an easy target for the rage of its devastated citizens. The nightblade warrior Asa's lifelong quest for vengeance is over, but now she finds herself on the run from the people she sought to protect. As Asa forges a new course of action in an uncertain world, her path crosses with that of a young noblewoman. I like it great narration and history.